From 1944 to 1953 the Rehabilitation Board trained more than 7,000 ex-servicemen, to help them find work after the Second World War. Most training was in building trades, especially building state houses. 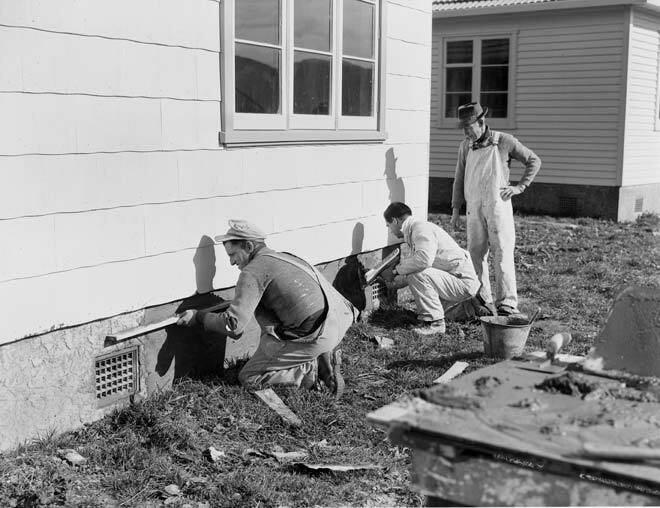 These men are shown plastering the foundations of a house.